I've had these for a few years and they're great for a couple of reasons. 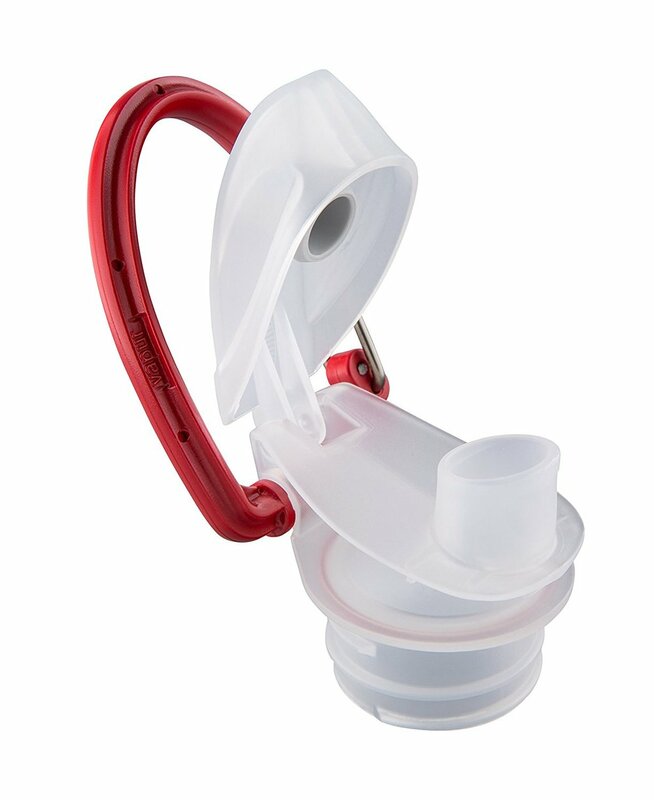 When you're traveling and can't take water with you, stick one of these in your carry on. You can fill up from a water fountain or share a big bottle of water (or scotch, whatever) between people. 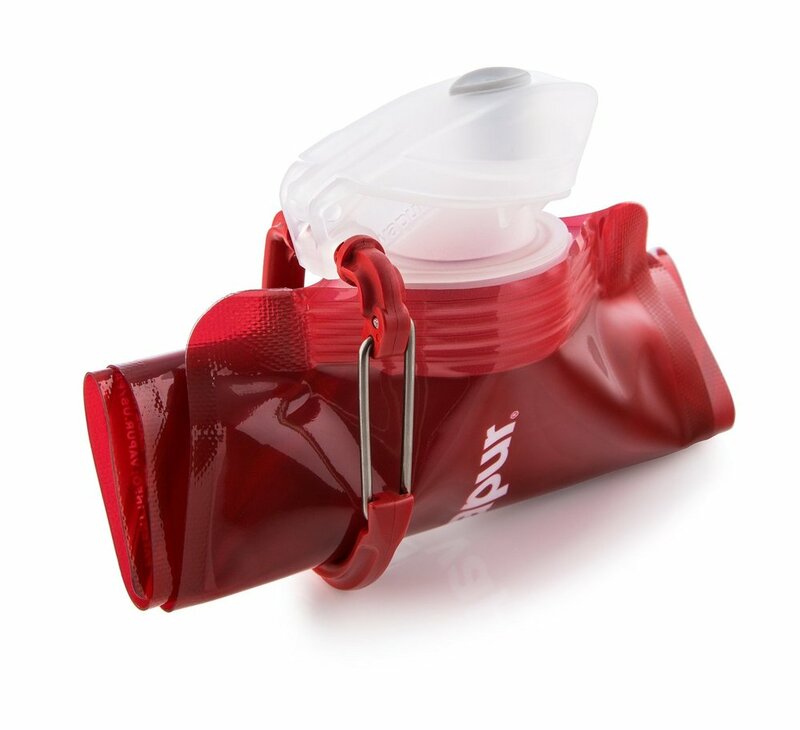 When you're done drinking, instead of being stuck with bulky plastic trash, you just fold up your bottle and toss it in your bag. You might suspect that since it's collapsible it will be a floppy mess to drink from but it's not. I too was suspicious but the plastic is stiff enough that you won't have any trouble taking a sip. The bottom stretches out when there's water in it for a stable bottom that will keep it upright. Don't get me wrong, it can take a little getting used to but it's not a pain and it's worth it if you need an extra bottle that doesn't take up much space. One of my favorite uses for these bottles is on long photo jobs. Bear with me because this might sound weird but it's awesome. First I nearly fill my Vapur, leaving some space for the water to expand. The next day I fill my 32-oz Gatorade bottle with as much ice as it can hold and then add water. By the time I've drunk all the water in the Gatorade bottle the Vapur is melted but cold. I add it to my squeezy green bottle of ice, fold up my Vapur and bask in a warm feeling of smugness for a few seconds. This might sound excessive but when you're on a 4-hour wedding in 90+ degree heat and blaring, angry sunshine you get creative or you perish. Don't perish. Click on any of the images in this article to go straight to the product page. Or click the button below.